In Arizona's early years, jobs in agriculture, ranching and mining played an important role in our economy. As the state has grown, agriculture has been pushed further out to accommodate development. Even though you might not see many farms in the city, agriculture and farming have a big impact in the state. With farming comes responsibility to use your resources wisely and continue to farm with the next generations future in mind. Water is a precious resource in Arizona that needs to be used responsibly and makes a big impact in farming communities. Dairy farms are able to reuse water multiple times before it's collected in the manure ponds and then used as fertilizer to grow feed for the cows. No drop goes to waste. According to a recent study conducted by the University of Arizona, in Pinal County farming ranks in the top 4% of all counties in barley acreage, corn acreage, and forage crop acreage. 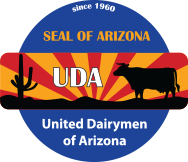 Those crop farms feed dairy and beef cattle which then contribute to manufacturing many types of food for Arizona and the world. In fact, 39% of Arizona milk sales come directly from Pinal. 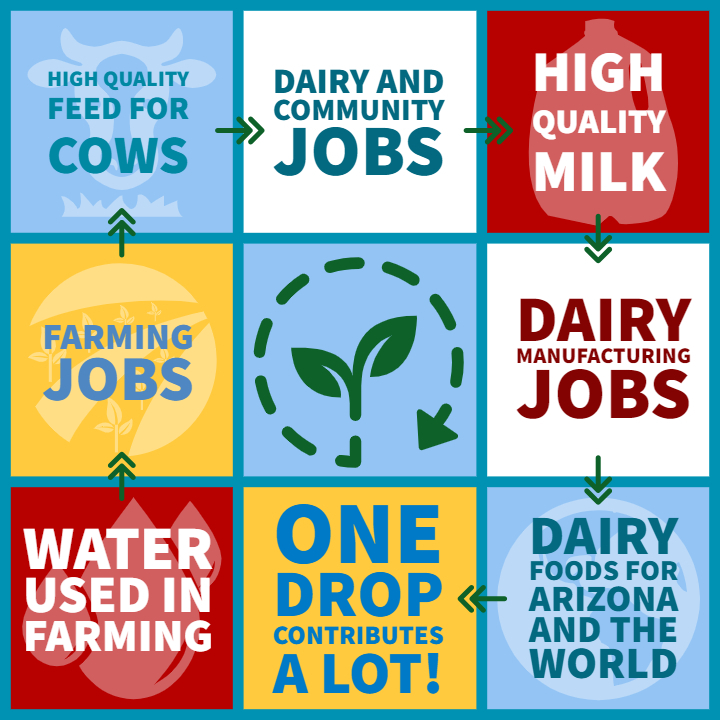 The "ripple" effect of farming in Pinal County contributes 2.3 billion to the economy and over 7,000 jobs. With possible water cuts looming for farmers, the "ripple" effect from the loss of farming could be detrimental to Pinal County. Dairy farmers facing an already tough market could be forced to pay higher prices for feed as farmland is cut. Jobs in farming and the community would be cut and some farmers would have to cut so far back it would no longer be economically viable for them to continue. As the Drought Contingency Plan comes together, one thing is certain with water... One drop contributes a lot!